The Harper pendant by Tech Lighting draws the eye with its beautiful tear dropped ribbed organic texture. This large glass pendant is handcrafted by highly skilled Polish artisans. The artisans start by creating a classic bulb shape and then gently manipulate the glass into a perfectly ribbed texture. 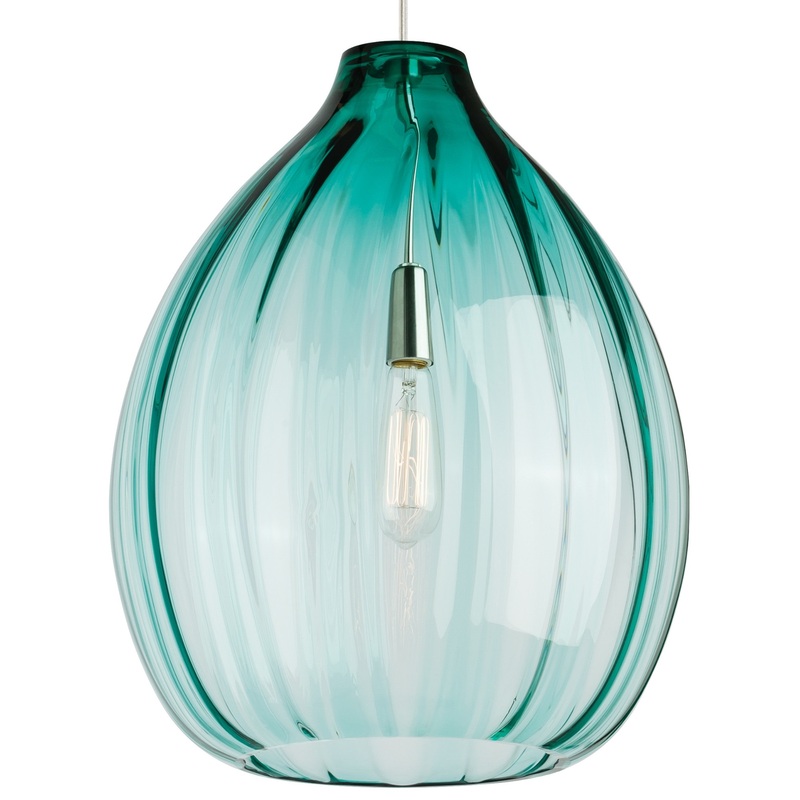 This contemporary glass pendant comes in three on trend finishes, surf green, smoke and classic clear. Available lamping options include energy efficient LED or no-lamp, leaving you the option to light this fixture with your preferred lamping. The LED lamping option is fully dimmable to create the desired ambiance in your special space. With its grand scale and beautiful color options the Harper pendant is ideal for dining room lighting, home office lighting and foyer lighting. Rated for (1) 120 volt 60 watt lamp (Lamp Not Included). LED includes 3.5 watt, 250 delivered lumenS 2700K medium base LED vintage Squirrek Cage lamp. Incandescent version dimmable with standard incandescent dimmer. LED version dimmable with an LED compatible or triac dimmer. Consult lamp manufacturer for more information. Black finish option ships with six feet of matching field-cuttable black cloth cord. Satin Nickel finish option ships with six feet of field-cuttable clear cable.